Our new product featured on the lunch menu for many ponies and don't they gobble it down. Kittani Varekai (know at home as Squirt) has produced a a long legged colt by Raven Lodge Born Brave. This is a half brother to our Raven Lodge Aura. Wearing one of the new Soft Shell jackets with diamante trim placing 3rd in 65 cm Combined Training and 9th in Showman. Willowmere Showtime registered EA and riding pony (Anglo x Riding Pony x Welsh), eligible other registrations but was bred as a performance pony. Brown gelding approx 13.2h, 4 years. Has been in work for last 3 months and been out and about. Is handled by a 10 year old child and is very sensible, he is bold and confident to take out. Elegant, big moving, soft, balanced and very athletic he gives you a fantastic ride. Confident over poles and has been introducied to jumping. Natasha has just taken over the ride of Raven Lodge Aura and have had a sensation Spring. Only 10 years of age Natasha started in Official dressage and clocked up 3 competitions with 63%+ scores, placing 1st or 2nd in the pony section but also in the top 10 against the big horses. She is now qualified and looking forward to riding at the Dressage Festival. At recent shows she has also come away with many champions, and is zooming up the HRCAV levels in Showing and Dressage following recent wins. 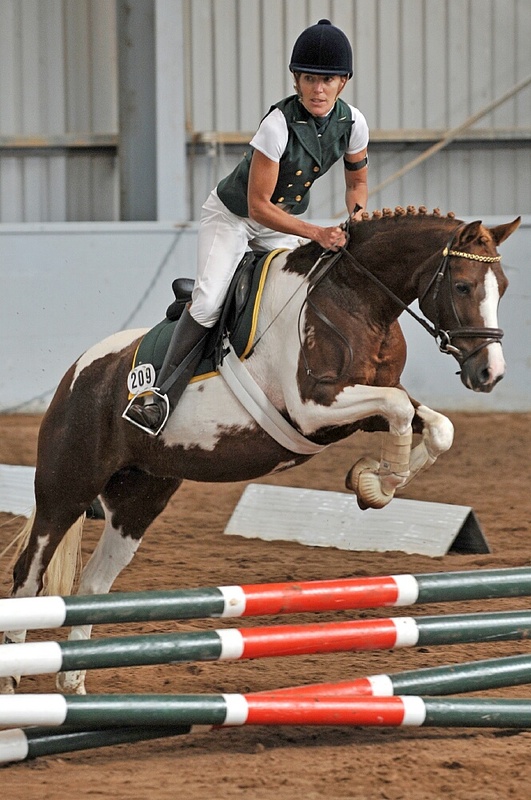 Chantal having travelled from Queensland with her amazing horse Ferero in search of World Cup qualifying scores recently attended events at Boneo Park, DTWS and Melbourne 3DE. It's a double for Equino. Lisa riding Raven Lodge Aura and Natasha on Wyann Sonic competed at the TTT Combine Training competition at Werribee both winning their classes with the team placing 3rd. Caitlin a young dressage rider from Ballarat is now sponsored by Equino and competed successfully at the Hamag Young Rider Dressage Festival in April 2011. Caitlin won the Briana Judge Trophy, Champion Elementary and 3rd in Junior FEI. What a a great result. Natasha has just been advised that her pony Wyann Sonic has been recognised for his outstanding performances, versatility and promotion of the Welsh breed. Raven Lodge Aura won Champion Performance Pony Female 13-14.2H at Barastoc. This is a 3 phase points based event covering in-hand, dressage and jumping. This was her first time out jumping 75cm as she had one previous comp at 50 cm. Raven Lodge Aura won her ridden Pinto Class at the Summer Royal, followed by a win and Champion ridden Pinto at Catani Ag. Hope to do a few more shows and earn her merit certificate this season. Kittani Varekai (know at home as Squirt) has produced a a long legged filly by Willomere Preview. 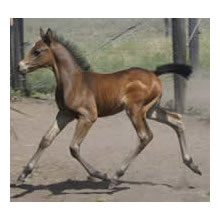 This is the 3rd foal we have bred to this stallion. Both Mum and daughter are doing fine. Click here to see Foal Diary video at 12 days old. 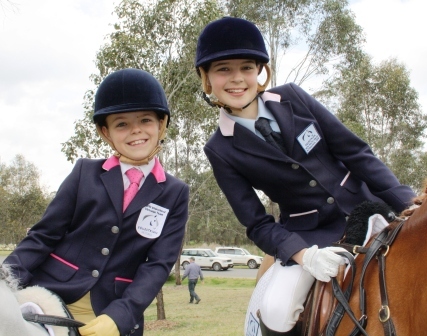 Some of the young riders looked stunning in their new Equetech Made to Measure jackets, contrast trims like cerise and pale pink make these jackets a standout. Natasha and her super little pony Wyann Sonic have had a fantastic season. 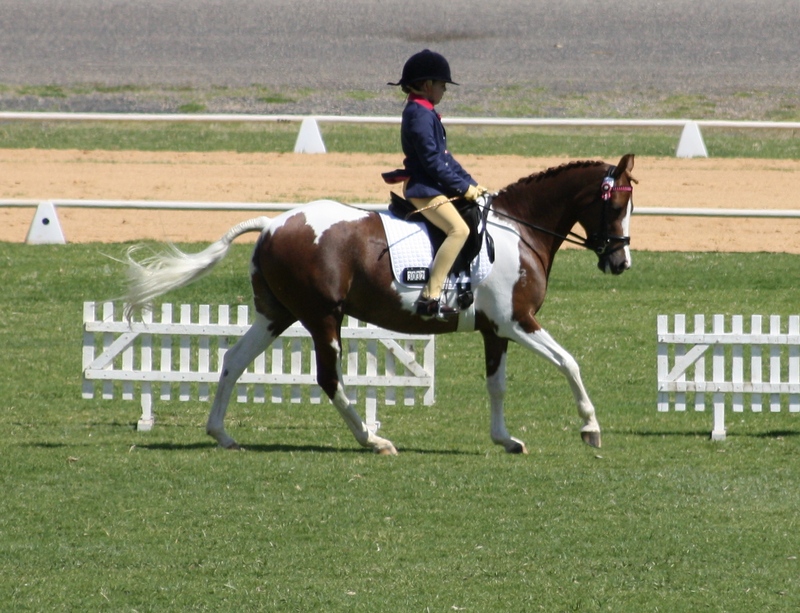 At the Victorian Interschool Championships she placed 4th indivdually and qualified to represent Victoria in Preliminary Dressage at the National Campionships in Sydney in September. Lisa and Tantalus return to have their first competition since October 2009 with 2nd place in level 2. Now hope to get out to some horse trials soon. 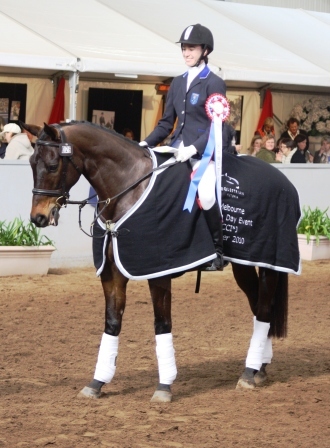 Ebony started competing at Official FEI Eventing in 2008 on her current horse Rafferty’s Edge. Competing at both Melbourne International 3DE (Junior 1*) and Sydney International 3DE in 2009 (1*) and is aspiring to have both Rafferty’s Edge and her young horse Game Plan at Sydney International 3DE again in 2010. 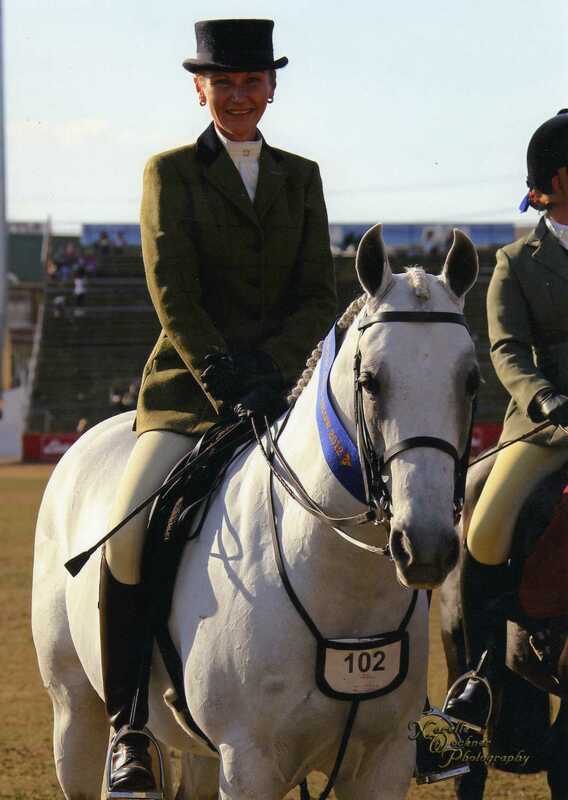 2009 saw Ebony being selected in the Top 10 riders seeking selection as Eventing Ambassador and qualified both horses for the National Interschool Championships in Eventing, Show Jumping and Showmanship. 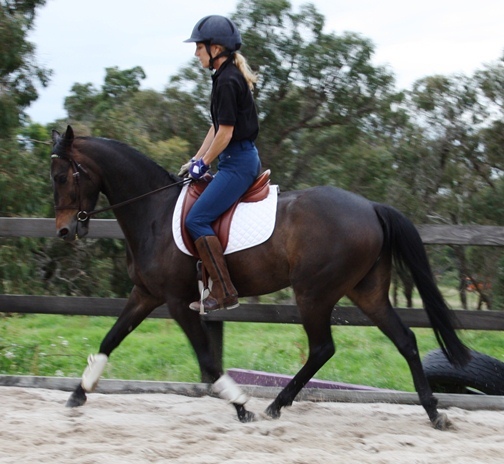 She is currently undertaking Year 12 studies at Toorak College and is hoping to commence the 2010 season at Tonimbuk and Wandin, aiming for results that will allow her to strengthen her performance and become a greater role model for the sport of Eventing. Natasha had a great start to the Interschool season winning the Champion Primary School Dressage. Summer shows and competitions are in full swing. Melbourne Summer Royal has been and gone and we are now getting ready for Barastoc with dressage, performance pony, pinto and welsh classes. Raven Lodge Aura has been busy at competitions and has been going well. Natasha had her first event on her at the Pinto Junior Member show where both were perfectly behaved and had lots of fun. Raven Lodge Aura our 4 year old Pinto mare has commenced her career both as a dressage and show pony. She has won Official Preliminary Pony Dressage, Newcomer and Futurity Classes at the State Pinto Show and Newcomer Class at the Pinto Klassic over the last 2 months. She has also started jumping and Natasha has had fun doing some games and handymount schooling on her. 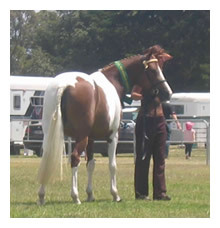 Next outing will be the Melbourne Royal Summer Horse Show. Kittani Varekai has returned to stud and will hopefully produce her third stunning foal by Willomere Preview, click to see more of this stunning stallion. 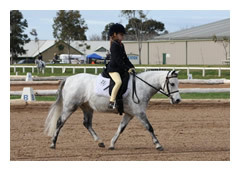 The Victorian Equestrian Interschool Championships were held over 4 days in July at Werribee Park. More than 320 primary and secondary school riders from 130 schools competed in a wide range of events. 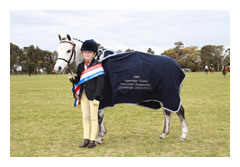 Natasha Moody who is 8 years old in Grade 2 at Toorak College, placed equal 1st in the Overall Individual Award, riding her Welsh Pony Wyann Sonic. 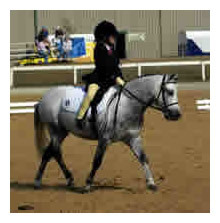 The prestigious award is for the Individual rider who gains the most points from 4 classes throughout the event and is to honour the best all round rider and encourage young riders to try all equestrian disciplines. Natasha placed 1st in Handy mount, Novelties, Preparatory Primary Dressage and 2nd in Best Rider. 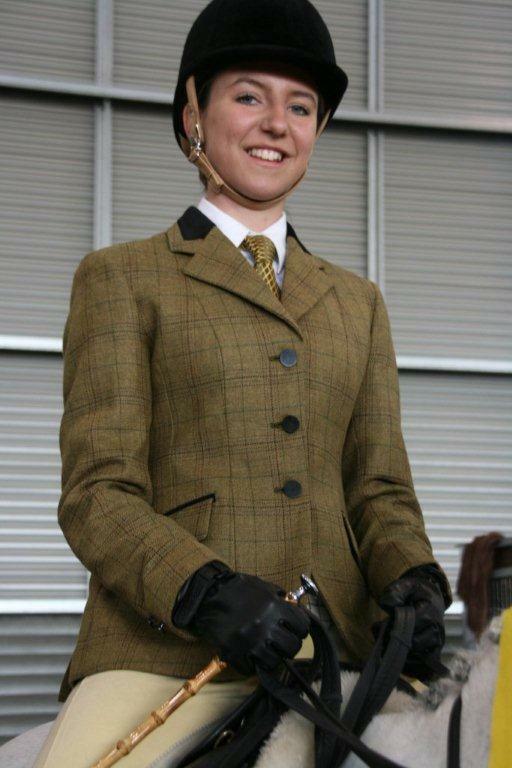 Natasha was also part of the Toorak College Equestrian Team that placed 6th overall. Natasha and Wyann Sonic placed 1 and 3rd in their dressage tests at the school competition and were part of the winning team. Click here to see more details. Conducted at Werribee Park in February, Lisa won Gold in her Two Phase Showjumping and Bronze in the Take Your on Line, on a very busy day that also includes a 6th and 8th placing in Novice Dressage classes. Check back later in the week for photos. 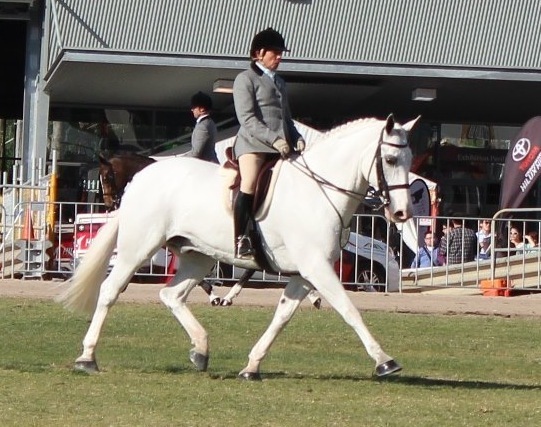 During April Natasha placed 2nd in the APOB Dressage Championships, Tantalus placed 5th at the HRCRV Combined Training Competition at Wandin but, has since had a paddock injury that will hopefully see him back out competing at the end of May. Natasha, attended a training camp at Wandin over the school holidays. The ponies are now all fluffy but in full preparation for up coming Dressage and Inter School Competitions. 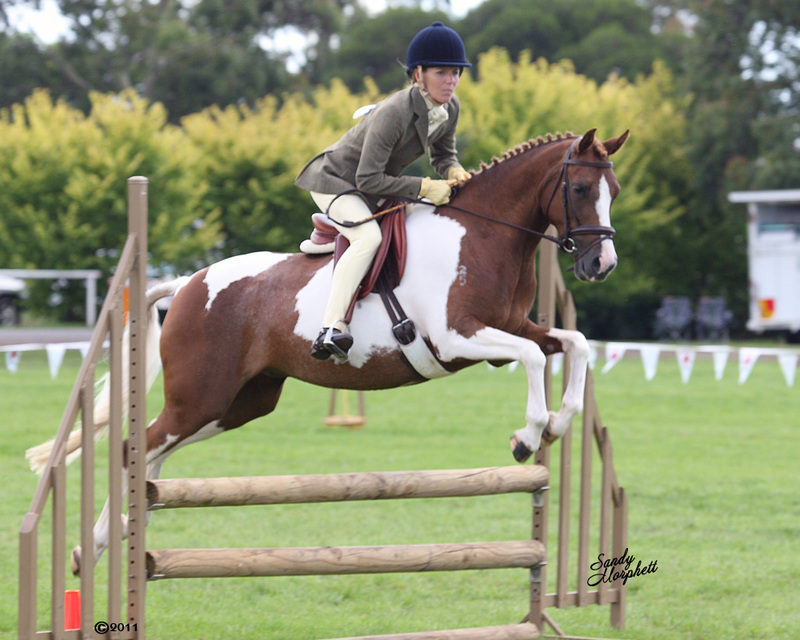 Wyann Sonic and Raven Lodge Aura had a busy few weeks in March attending shows at Berwick and Warragul achieving wins in Riding and Led Classes. The ponies are now all fluffy but in full preparation for up coming Dressage and Inter School Competitions. Raven Lodge Aura know as Emma at home is 3 years old and went to her first show in January, she placed 4th in her Sport Pony class which is a new class that judges ponies on their potential in performance classes like dressage and show jumping. Emma was perfectly behaved and handled everything very well. 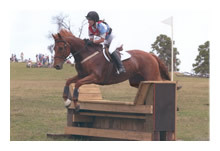 Tantalus known as Moose at home won at Wandin Horse Trials on 29th November 2008 at his first competition following 6 mont hs spelling due to a virus and injury to Lisa’s hand. VEC Interschool Primary Challenge on 25th November, 2008 Natasha Moody won 2 classes and placed 3 and 4th in her other 2 events. Natasha Moody wins Best Preparatory Pony at the Victorian Pony Challenge 2008 – See Eques report for the full report and photos of Natatash. Wyann Sonic (know as Prince at home) wins his first ever Horse Trials event at HRCAV Westcoast Horse Trials at Lara April 2008 see photo Part 1 front page. Lisa rode Prince to give him some experience prior to Natasha starting to compete on him in jumping events. A Star is Born - Kittani Varekai (know at home as Squirt) surprised us with the early arrival of a beautiful brown filly on 21st December 2008, 16 days early. Thanks to Julie Murray and Jason Lucas at Willowmere for caring for Squirt and the safe arrival of her foal. The foal's Sire is Willomere Preview take a look at him and the other foals at Willowmere Stud, you can also see Squirts foal from last year. The foal has been named Star with her registered name still to be decided.